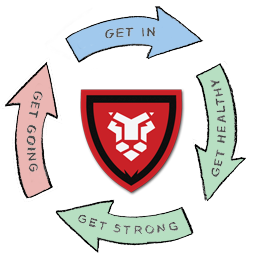 Click on an image or text to explore the details of the how the process works. Having the right Bible study tools is essential to growing the faith in an individual, a small community of men, or a large congregation. 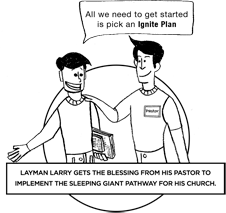 You and your church can pick any Ignite plan, whether it's the individual plan, small group plan, or entire church plan, and get started. The best way to kick off the Sleeping Giant program is to gather men and start them down the path of weekly meetings. You could start by holding a conference that becomes the catalyst for change. Individual Bible study tools are available in the individual plan. It provides men with a small screen format, and more than 120 weeks of content. For the men who want to begin a small group Bible study, the small group plan gives men a full screen format and unlimited streaming. 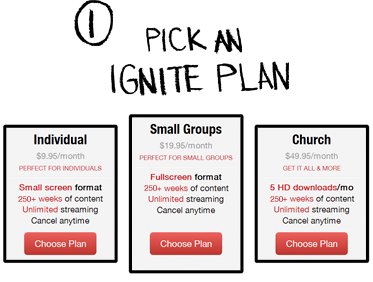 For the whole congregation, the church plan gives the church 5 HD downloads per month, more than 120 weeks of content, and unlimited streaming. All the study plans come included with discussion questions, so you don't need a workbook or outline. Once you've settled on a plan, get started. Meet in a home, a coffee shop, work, or the church and dive into the media. Sermons, free clips, audio, and video are all available for streaming. 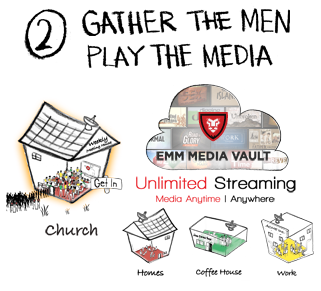 The Every Man Ministries Media Vault is full of resources for men. Leadership, Core Health, College, and Men at Work study tools are all perfect for your study plan and journey with God. Don't stop meeting! Offer classes to your small group or congregation to continue the walk with God. Supplementary Bible study tools are essential for men. 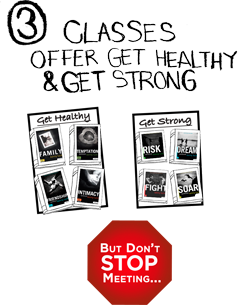 The Get Healthy and Get Strong study plans will help men accept their calling in family, intimacy, temptation, and friendship. Learn to risk, dream, fight, and soar with Every Man Ministries DVD products. 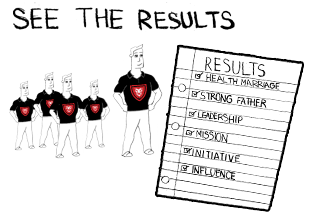 With these powerful Bible study tools, men will have a healthier marriage, be able to be a stronger father, have better leadership qualities, and a more positive sphere of influence. Every Man Ministries can help you and your following of men find the untapped potential in your lives and illuminate the purpose of your lives.